We can deliver recycled concrete to your site in Collingwood for easy dispensing. Do you need recycled concrete for an upcoming paving project? Then you can rely on us at Flesherton Concrete Products to supply the materials you need. Whether you have a small driveway paving project or you are managing a major roadway re-paving project, we can help you achieve great results with our quality products and services in Collingwood, Ontario. Having a good base material for your paving project is essential because it will support and stabilize your other paving materials. Our recycled concrete is ideal for paving projects that require a solid base layer, and we can deliver your required aggregate to your site for easy dispensing during your initial project stages. 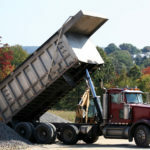 At Flesherton Concrete Products, we offer a number of other aggregates in addition to recycled concrete that can make it easier to achieve your project goals. We carry sand and gravel, as well as stone products that can ensure the stability, function, and longevity of any project in Collingwood. If you have specific product and material requests, you’ll find our honest approach and timely service make it easy to determine your project timeline and keep on-schedule. We are a family-owned and operated business with over 30 years of experience providing services and solutions for home builders, pavers, construction managers, and home owners in the Collingwood area. Contact us today to schedule delivery and to learn more about our competitive prices and quality customer care. We look forward to working with you. At Flesherton Concrete Products, we offer recycled concrete to customers in Collingwood, Wasaga Beach, Flesherton, Orangeville, Owen Sound, Barrie, Stayner, Mulmur, Shelburne, and Mount Forest, Ontario.